Established in 1975, Shandong Linglong Rubber Co., Ltd is today one of the top 20 world tyre manufacturers. The factory is one of the most modern and progressive in China, manufacturing 2,000 different kinds of tyres including bias tyre, passenger car and light truck radial tyres and steel heavy radial and special tyres. The Linglong E4 tyre is designed to have high levels of safety. The wide footprint of the Linglong E4 also provides you with a strong grip in challenging terrains. 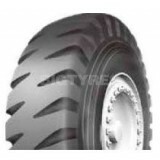 Low noise levels are also included in the Linglong E4 tyre. 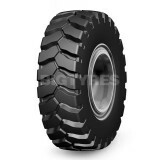 The Linglong LB01N tyre is designed to give the user excellent traction and manoeuvrability with industrial applications. The Linglong LB01N tyre also gives you good flotation and excellent stability, giving the user exceptional levels of ride comfort. 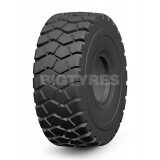 The Linglong LB02SD tyres large tread blocks gives the user high levels of traction. Deep tread pattern on the LB02SD also gives the user the potential for a long wear life. The sidewall design also gives the user greater levels of resistance to damage and cuts. The wide, square tread of the Linglong LB02SD tyre also gives you better stability when in use. 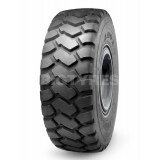 The Linglong LB03SD tyre performs well in tough conditions thanks to its robust shoulders that are reinforced with a protection band, which strengthen its resistant to shock ruptures, cuts and tread tearing. The LB03SD also features a particularly durable casing, along with several specific steel belts, all adding to a tyre that is very resistant to punctures. The wide and aggressive tread on the LINGLONG LB03SD tyre works perfectly to produce a good compromise between adhesion,traction and damage resistance. The Linglong LB06S tyre has been designed with a block type pattern giving you good traction and wear/tear resistance thanks to its deep tread. 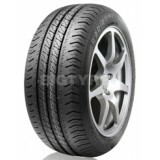 Order your Linglong LB06S tyres online from Big Tyres today! The Linglong LD702 tyre is a tubeless tyre that has been designed with a combination of vertical and horizontal pattern grooves, giving the tyre excellent levels of grip. The Linglong LD702 tyre has also been designed with a strengthened bead giving the user good levels of safety and comfort. 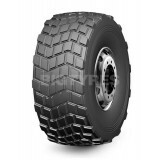 The Linglong R701 tyre has been designed as a low weight trailer tyre with low fuel consumption levels. Ideal for those on a budget who are looking at carrying small amounts of weight. Order your Linglong R701 tyres online from Big Tyres today!